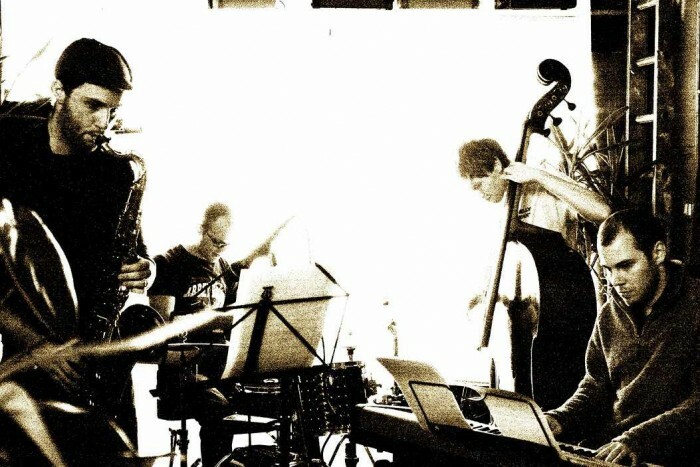 Composer and Saxophonist Will Lenton ( Single Cell Collective ) leads his group Badger the Hermit. Treading their own line between crunchy and sonorous, they are refreshingly succinct and fun. Music by Bud Powell, Joanna Newsom, Orbital and the Swedish pianist Jan Johansson is interpreted by the group as naturally as their own material. They flow from the blues to a Bjork b-side and back like an ipod on shuffle, with a happy disregard for genre and an infectious love of the music. Short tunes keep your attention and leave you wondering what the hell is next? On tenor, Will Lenton finds a strong and warm tone with solos full of melody and sincerity. Less cliches, more risks, but never self-indulgent. With the power and creative expression of Rob Turner on drums and the energy and lyricism of Grant Russell on double bass, this trio grabs you and holds on tight.